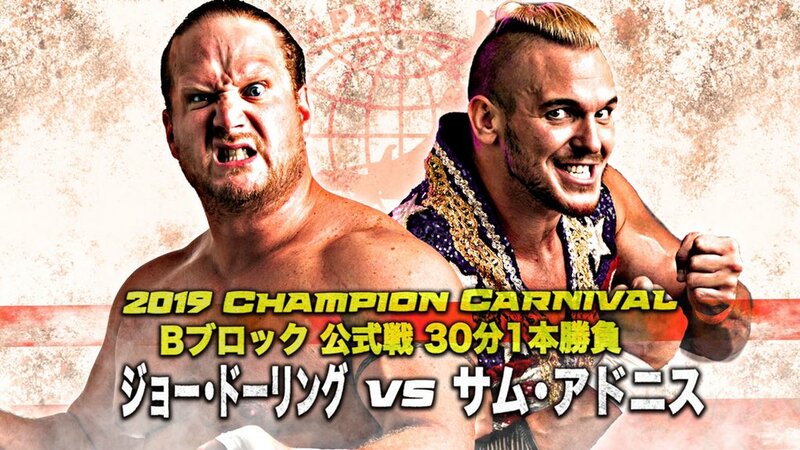 Part 3 of the Champion Carnival B Block coverage! We see Carnival Grandpa (Jun Akiyama) leading the block, and doing it in solid fashion. He doesn’t look like he’s being handed wins, and everyone in this block looks fairly even so far. Now we get to see if the cream rises to the top, or if this continues to be the more competitive block. Well we see one of the block leaders, against one of the block basement dwellers. Akiyama has really turned up his aggression and everything these last two matches. 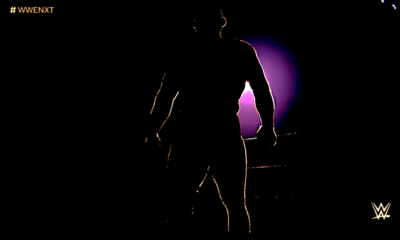 He’s taking larger bumps than I’m accustomed to seeing him take, and a few other spots are more than just knees and exploders. When all is said and done, Akiyama wins with his signature Wristclutch Exploder. But to be honest, Yoshie is really impressing me. He looked visibly frustrated after the loss, and even though he’s a bigger guy, he’s been putting in really good work. As much as I love Marufuji, this match was hard to swallow. Dylan James definitely proved he’s not on the same level as Marufuji, and it was glaringly obvious. He took moves sloppy, sold poorly and positioned himself slowly or awkwardly. Marufuji tried his blitz out of the corner and missed the enzuigiri to the back of his head cause James was taking too long selling strikes. So Naomichi was forced to do it again once James was in position. This was just hard to watch honestly. I’m very happy that James tried to use his size to lean on Marufuji, but, Marufuji’s depth of move knowledge, helped him win this. He’s not NOAH’s Genius for nothing. Well Zeus started strong, and needs to get back on track. While poor Yoshie has been putting on progressively better matches, but just not pulling out the win. As for the match, it was hard hitting, both men traded big blows and it all came down over confidence. Yoshie is not a small man, but Zeus is the former bodybuilder, power wrestler, so he’s not gonna look weak. After a few big suplexes from Zeus, he was riding high on the confidence and went for his Jackhammer. The Jackhammer got countered, which took all the air out of Zeus’ body. A Warrior style splash off the ropes, followed up by the Diving Splash, gives Yoshie a hard fought first victory. Two guys towards the top of the standings, this will either give Jun more space, or help Suwama come back from an early loss. Now this is where my lack of historical knowledge hurt me. Suwama and Akiyama went at it, like two men who hate each other. Suwama threw the guard rail at Akiyama, they both threw chairs and this was all after about 40 seconds of them just hitting each other over the ropes. So I’m not sure where this grudge started, but the hatred was palpable. Hell, even at the end of the match it was obvious when referee Wada calls for the stoppage and Suwama doesn’t release right away and continues trying to inflict damage. So even though he got his first loss, Carnival Grandpa is still putting on the best matches of B Block. The A Block has more well known quality talent, but Akiyama is over performing and Marufuji still has most of his matches left. A Block and Andrew bring out Part 3! 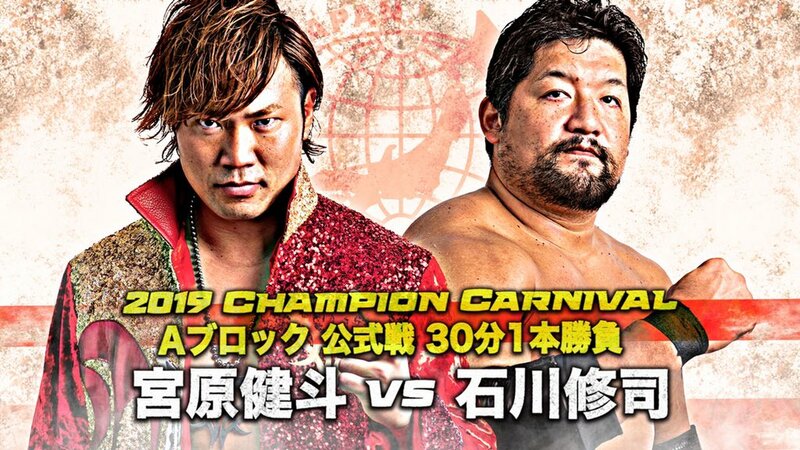 Champion Carnival is rolling, and after a few interesting results already…this will be an interesting tournament. Welcome to Part 3 of the Champion Carnival A Block! 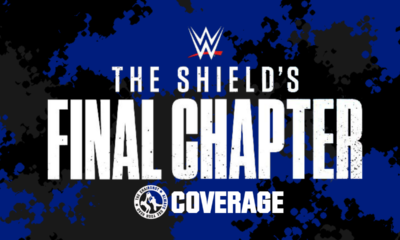 This will cover matches on 4/11 – 4/13 – 4/14. Shuji and Ryoji’s draw already make some of these outcomes different. Let’s dance the dance, shall we? Well now, this was Valletta’s most entertaining match of the carnival and it’s probably because it was much simpler. The stupid chain didn’t play a part in the match and he stuck to biting and short cuts. They brawled up into the crowd and Valletta even scared a fan in the aisle. So where it may have lacked in general in-ring action, it was entertaining on a whole. Plus if Aoyagi lost to Valletta after the big win over Zeus…I…I don’t think I’d be able to take the rest of the tournament seriously. Miyahara is the ace for a reason. 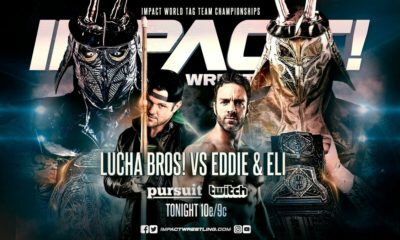 Even though I’ve been admitting that Dylan has gotten better over the year, this was a very good match. Dylan is proving himself to be in contention for main event titles soon when he can mostly hold his own. It was a lot of expected spots and personality from Senior referee, Kyohei Wada, when he was interacting with Kento. 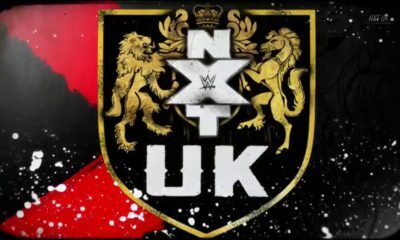 Nothing bad to say about this match, it’s just really good and main events the 4/11 show. Shuji is already starting to make my comment from the previous part come true. Stringing a few wins together, makes his Draw against Ryoji very interesting so far when it comes to tie breakers and overall points. Yuma was the underdog the entire match since he’s the smaller man. But he had some believable moments where he caught Shuji unawares. A nice Guillotine with Body Scissors gave Yuma his closest near fall, but Shuji’s power is too much. Well now we’ve got Gianni’s less than talented self, against Ryoji who tends to have awkward singles matches with gaijin. Things start off with Gianni putting his chain in the back of his pants, and even though he’s rattling, referee Nikkan Lee can’t seem to locate it, so the opening salvo is a comedy spot. Great…one of these matches. Ryoji loves to sell a knee like he’s starting a war dance, but then forget when it’s time to suplex people. It’s beyond frustrating. It gets to the point where I think Sai taught Seth Rollins how to sell a knee…like a complete imbecile. As for the match, it’s…serviceable. Rounding out the 4/13 matches, Zeus and Dylan James main event the show. This was a lot of heavy strikes, some outside brawling, but just a good back and forth power match. I’m bias to all things Zeus, but it is always amusing to see the taller power guys try to pick on the fact that he’s chiseled, but not the tallest. Both men attempt signature Chokeslams which are usually the set up for their finishes, but neither successfully pulled them off. After a nice flurry and Biceps Explosion from Zeus, he hits the Jackhammer and gets his 2 points. WASSHOI! The first A Block match of 4/14 is the hometown Osaka thiccboy Zeus versus…Ryoji, great. 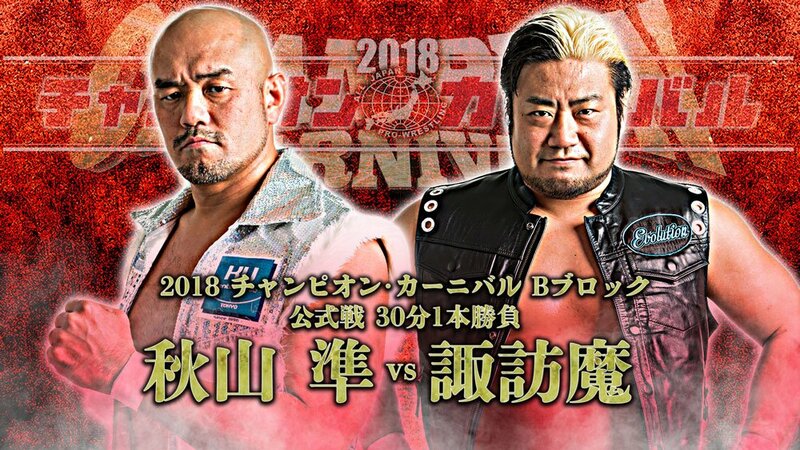 Ryoji was chiding Zeus before the match even started, and took an early advantage, dominating most of the first few minutes out of the ring as well as within. After Zeus fired up a little the match got better, but there’s always something with Ryoji’s matches where moves just don’t look good, or a momentum swing spot just stick out as illogical. For the near falls, story telling and general intensity this was a pretty good match. But I’m never gonna be very high on Ryoji Sai, but having him beat Zeus in Osaka is surprising. So there’s that at least. Shuji and Kento have a bit of history, and most of their encounters are usually quite high quality. This was paced well and the strikes resonated through the screen. You got a little bit of everything, a bunch of great near falls and Shuji going deep into his arsenal to put this one away. Like I said in his earlier match, that Draw is just making standings more and more interesting. Plus Kento has one more person to worry about after the Carnival, since he is the current Triple Crown champion. We had a lot of quality matches over these three days, and some fun wrinkles. Sai and Ishikawa are currently 1 and 3 in the block thanks to the draw that was mentioned a few times. Zeus continues his hot and cold spurts in All Japan, but thanks to his fan appeal and him being positioned fairly strongly on the card, his opponents gets elevated a bit by beating him. So my pizza snacks are a little scared, maybe a little cold, but Zeus still has 3 more matches left, one of them being against Shuji. He had a similar set up last year, so he’s not out of it yet. A Block has been so damn swingy. Either the best of matches of the tournaments, or a few snoozers. Definitely makes for an interesting dice roll depending on the show.